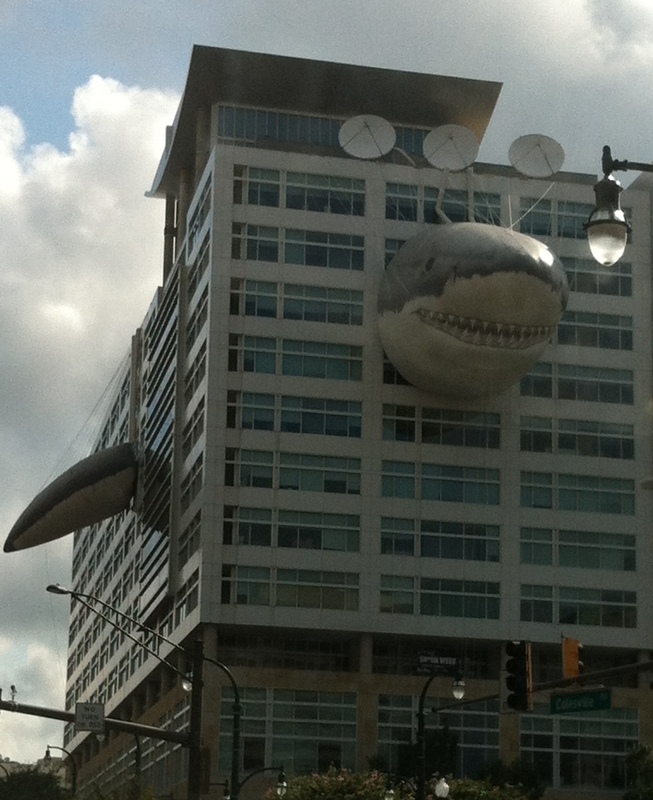 In honor of the 25th anniversary of Shark Week, The Discovery Channel has mounted “Chompie” on their headquarters in Silver Spring, MD. Not a bad way to arrive at work every morning greeted by this guy. And yes, there is a tail on the other end and a fin on top. This entry was posted in Fun Stuff by mrs. roper's musings. Bookmark the permalink.